Did you know the reason zebras have stripes is to avoid being bitten by the tsetse fly? We didn’t either until we visited the Natural History Museum this morning. For a museum with a long history they’ve done a fantastic job of presentation. They have the usual range of stuffed animals, but they’ve been augmented with additional materials and enough context to make for a thoroughly engaging experience. 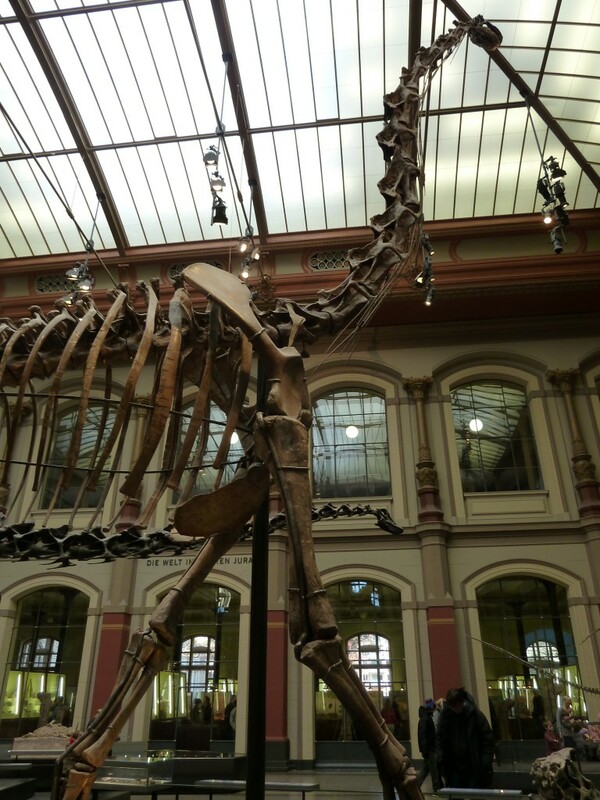 A visit starts with seeing the largest dinosaur skeleton in the world – and it is huge, really huge. From there you see how the world was formed and changed, biodiversity, evolution and much, much more. For Jennifer and me the highlight was their new ‘wet room’. 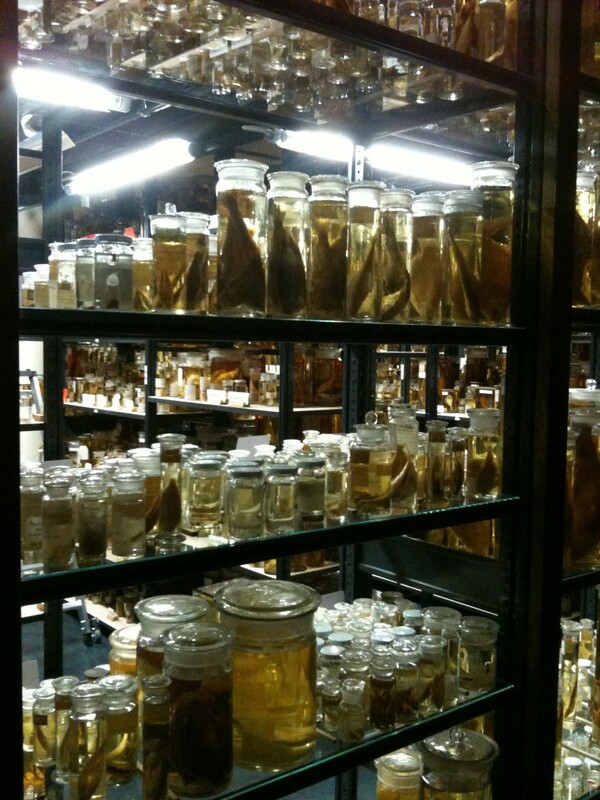 This is an enormous room filled with shelves with specimen jars containing preserved fish, animals, and birds. The sheer scale of the collection makes it quite stunning. The boys found it totally creepy, which it was in a way, and didn’t like it all. Declan was particularly taken with the dinosaur skeletons. Callum, true to form, loved a bone-induction way of hearing a presentation on Darwin – you rested your elbows on the ‘speakers’, cupped your hands over your ears and could hear the speech. For a world-renowned museum the exhibition area is quiet small. But in many ways that makes it all the better with the kids. Because you know it’s not going to be an overwhelming experience you can spend time on what they do have. In the afternoon Jennifer went solo to visit the Jewish Museum while I took the boys to a playground near our apartment. 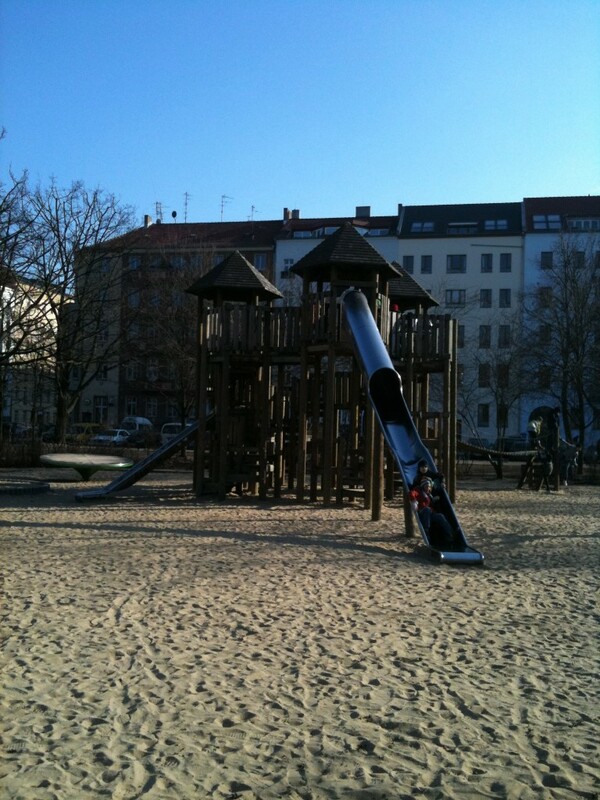 In keeping with almost all the playgrounds in Berlin this one was excellent. It also had the added advantage of having a group of about 20 kids playing in it. The boys spent a wonderful couple of hours running around with them and playing a cross-language game of tag. In spite of the sub-zero temperatures, they eventually had to stop when they became so hot they were about to expire. I could have done with at least a little more detail about the zebras being bitten. I was left to try and imagine the design of a ‘double-blind’ test of the claim.